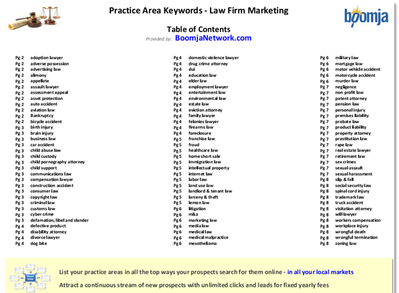 Download a free comprehensive keyword list for your industry to help you Identify and analyze all the different ways your prospective customers are searching online for your products and services. Create a continuous flow of online traffic and leads from organic search results by localizing your keywords in the Boomja Network's authoritative search portals. 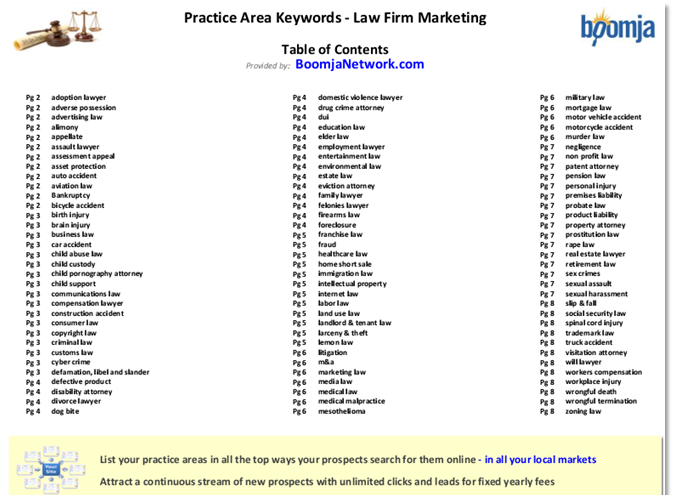 1,100+ keywords in 99 practice area categories.